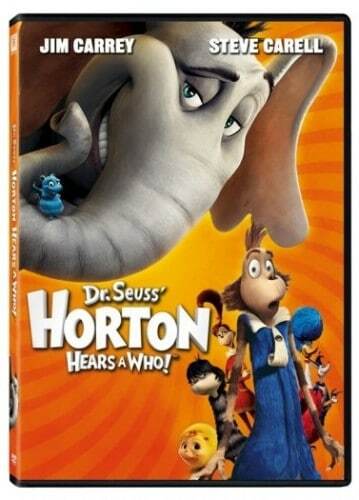 The Horton Hears a Who (Single-Disc Edition) is on sale for $3.98 at Amazon right now. That's 73% off the list price of $14.98! The Brave (DVD) is on sale for $17.99 at Amazon right now. That's 40% off the list price of $29.99! The Dr. Seuss' The Lorax (DVD) is on sale for $14.96 at Amazon right now. That's 50% off the list price of $29.98! The Brave (Three-Disc Collector's Edition: Blu-ray / DVD) is on sale for $24.96 at Amazon right now. That's 38% off the list price of $39.99! The Madagascar 3: Europe's Most Wanted (DVD) is on sale for $14.96 at Amazon right now. That's 50% off the list price of $29.98! The Ice Age: Continental Drift (DVD) is on sale for $16.99 at Amazon right now. That's 43% off the list price of $29.98! The Secret of the Wings (DVD) is on sale for $19.95 at Amazon right now. That's 33% off the list price of $29.99! The Finding Nemo (Five-Disc Ultimate Collector's Edition: Blu-ray 3D/Blu-ray/DVD + Digital Copy) is on sale for $27.99 at Amazon right now. That's 44% off the list price of $49.99! The Finding Nemo (Three-Disc Collector's Edition: Blu-ray/DVD in Blu-ray Packaging) is on sale for $22.99 at Amazon right now. That's 43% off the list price of $39.99! The Tangled (DVD) is on sale for $14.96 at Amazon right now. That's 50% off the list price of $29.99! The How the Grinch Stole Christmas (Deluxe Edition) DVD is on sale for $9.96 at Amazon right now. That's 50% off the list price of $19.97! The Despicable Me (Single-Disc Edition) is on sale for $9.99 at Amazon right now. That's 67% off the list price of $29.98!